Set in tranquil garden surroundings, Mangapapa Hotel offers elegant rooms with satellite TV and free WiFi. It benefits from extensive leisure facilities, including an outdoor swimming pool, spa and gym. The rooms at Mangapapa Hotel are divided across the main colonial-style house and a separate building. All of the individually themed rooms feature a robe and slippers, Smart TV with in-house entertainment system, work desk and tea and coffee making facilities. 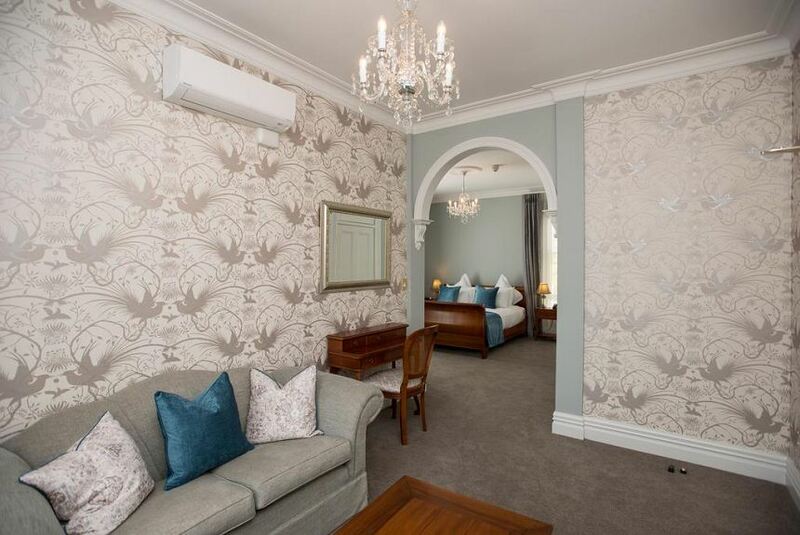 Located in the Hawke’s Bay region, Mangapapa Hotel is a 6-minute drive from Havelock North. The property is close to a number of popular wineries including Craggy range, Te mata, Elephant Hill and Blackbarn. The property can also arrange pick up and a drop off service to these vineyards. Mangapapa Restaurant serves dinner seven days a week. The five course menu is inspired by the food produced from the hotel's estate. There is also a high tea with scrumptious sweet treats and beautiful sandwiches.